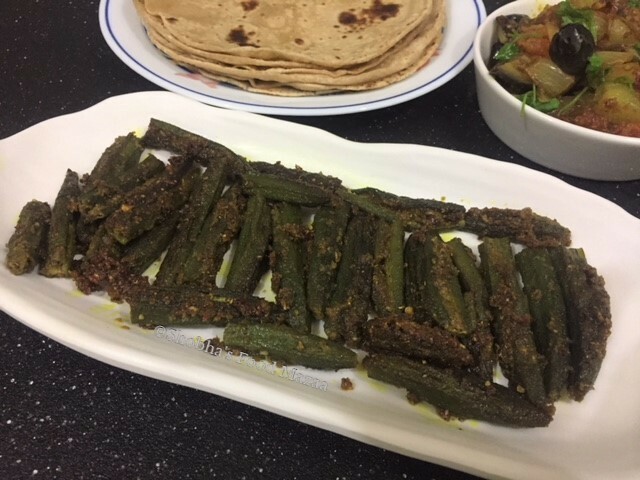 Stuffed bhindi with a nice tangy masala makes a lovely side dish.. serve with rotis or dal chawal. It makes a perfect accompaniment. Cumin powder ... 1/2 tsp. Dry ginger powder ... 1/4 tsp. Red chilli powder ..... 1 tsp. Mix all the masalas for filling. Wash the bhindi and remove the ends. Give a slit in the middle with a knife. Stuff them with the prepared masalas. Yummy stuffed bindi,tastes so good with rotis. Love bhindi...must give this a try..can imagine how flavorful the dish is. Yes, in Sindhi cuisine we add crushed anardana to many dishes. Love stuffed okra and the stuffing sounds superb. i am an absolute fan of this dish! looks so tempting. Yummy! Thank you for linking with Any one Can Cook.